The Wireless Thermostat Two-Wire Heat-Only Kit lets the Venstar T1100 and most other low voltage Insteon, Zwave or WIFI thermostats control most two-wire heat-only devices. 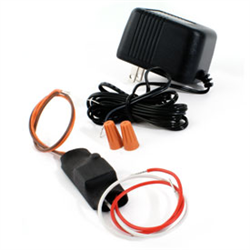 The package includes a 24V plug-in transformer and a two-wire relay. 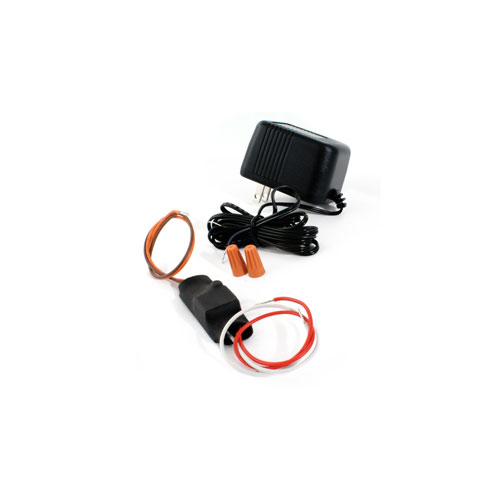 The 24VAC plug-in power supply connects to the thermostat power connections to provide power to the thermostat. The thermostat then connects to and energizes the relay when needed, and the relay connects to the heating system. Note: This is not for baseboards. For baseboard heat consider using one of the RC840T series relays.